1. The art: maybe it’s because we all are over thirty (and some are approaching 40… yikes! ), that we love pixel-art. Of course developers might choose this style for whatever reason that serves their purpose: nostalgia, budget…. 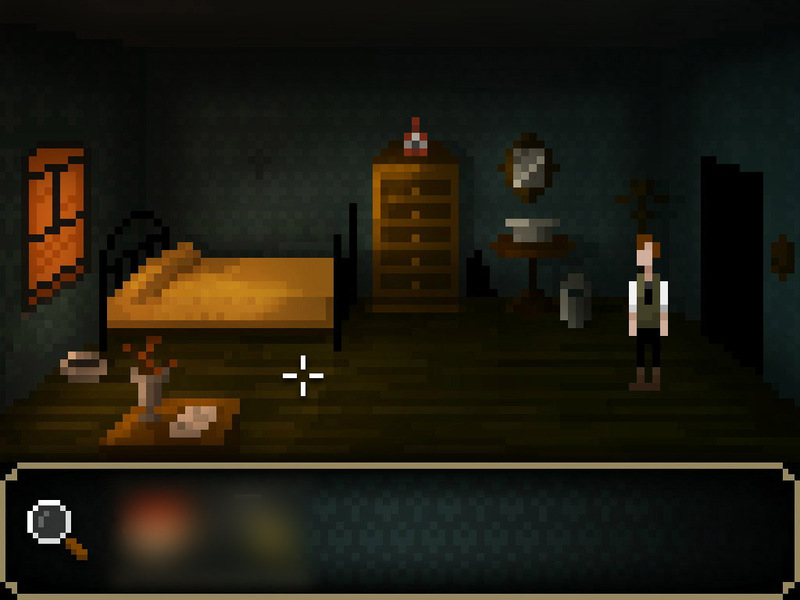 But in “The Last Door” it’s clear that pixel-art works like a charm: it’s usually stated that Lovecraft and Poe (two obvious influences) are more horrifying because of what their stories suggest… and “The Last Door” is a cool example of suggestion. Once the player feels involved in the plot, a bunch of pixels might depict a crow, a pool of blood, a corpse… and it works! 2. The beginning: we have to bit our tongues to avoid any spoiler… but let us say the way the adventure starts is brilliant. In fact, the preface is some kind of a tiny adventure in which the player is forced to click here and there to unleash the madness. 3. The score: the romantic music by Carlos Viola is superb, and fits perfectly with the rest of the elements. 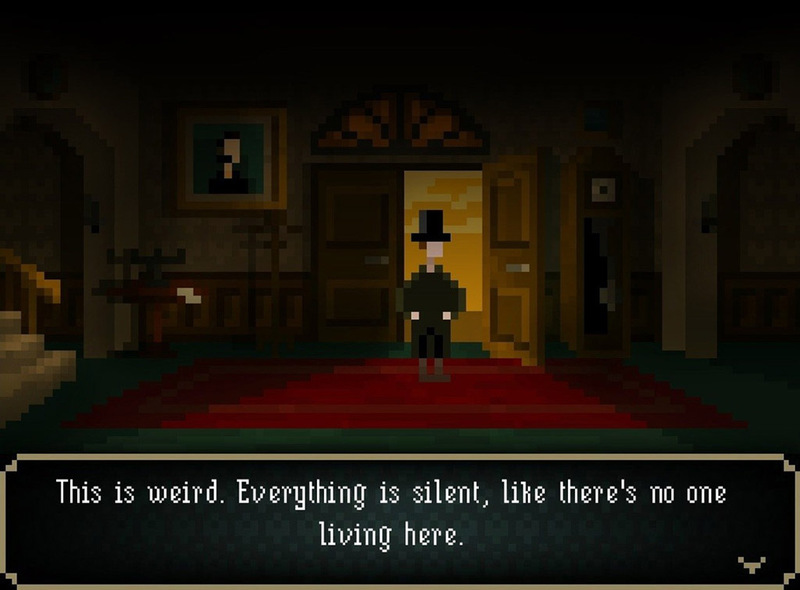 “The Last Door – Season 1 : Pilot chapter” is a short game, but it clearly states what the rest of the series is going to be like: thrilling, atmospheric, spooky… Although the number of locations the player can explore keeps growing in a really well measured way… the approach to the story and the puzzles is quite linear, which lowers the difficulty level quite a lot. However, and since all this is probably due to its short length, once you finish playing this first chapter… you need more. And you need it now, which proves the mates at The Game Kitchen made an awesome work with the scope of the whole game. In fact, you can play the first three chapters on line for free… or even better, get “The Last Door – Collector’s Edition”, including the first four chapters of the first season. Are you going to resist it? We could not!